A way to “Stay” in 2010. “More” where that came from. A trip from Mars to “Hollywood”. Takin’ it day by day. Two years after rising into my top ten with “Ruby”, the English quintet from Leeds finally made it back in early 2009 with this second single from their album Off With Their Heads. Lead singer Ricky Wilson is a judge on the third season of the U.K. edition of The Voice. The band is out with a new effort, Education, Education, Education & War, on April 1. Her latest single called “Air Balloon” is out in the United Kingdom early next month, but back in 2009, Allen was just beginning her It’s Not Me, It’s You era. “Fear” went to #1 on the U.K. Singles Chart for four consecutive weeks, while it managed a peak of #5 on my own survey. Allen last charted as a featured act on Pink’s #1 song “True Love” last year. After the massive success of “Viva La Vida”, a #1 on my top 40 for two weeks the previous year, this four man band was turning Japanese. (I really think so!) 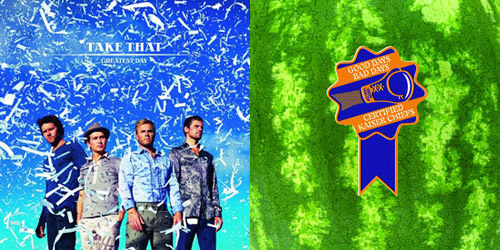 Originally featured on their big album Viva La Vida Or Death And All His Friends, then remixed in hit form as the Osaka Mix on the EP Prospekt’s March, “Lovers” climbed to a peak of #5 on my survey. Don’t call it a comeback – or perhaps do. After the disaster that was the Blackout era, which yielded no top 40 singles on my chart, previous single “Womanizer” became Spears’s first hit on my top 40 since “My Prerogative” in 2004. This title song from Circus also climbed into the top ten, at its peak this week. She’s currently selling out shows in Las Vegas. This title almost hit the CHR top 40 back in 1999 when Jennifer Paige released a song of the same name; it topped out at #48 in February of that year. From the girl who sang “Crush”, I’m sure she was crushed. Ten years later, the singer born Alecia Moore easily carried it up the charts as the followup to “So What”. On my survey, it spent two weeks at #4. They sell bucket loads of albums in Europe, but here in the States, would you believe that they’re still a one hit wonder? It was 1995’s “Back For Good” that did the trick. Luckily, I kept up with most of their European efforts. This first single from The Circus spent four weeks at #4. 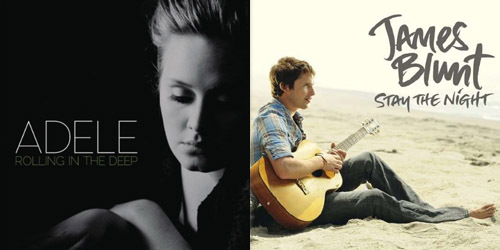 Two additional singles, “Up All Night” and “Said It All”, also charted in 2009. If you’re looking for your American Idol fix, look no further than this former #1 single on my chart. Cook had two of them in a row, and then a #2 hit in “Come Back To Me”, making his debut era one of the most successful in my chart’s history. Cook last appeared in my top 40 in January 2012 with “Fade Into Me”, his fifth hit, which went as high as #15. Of all the acts represented in this week’s top ten, this is the only one that also has a current top ten single on my chart. That would be “Love Don’t Die”, the leadoff release from the band’s forthcoming Helios album, due on the 25th of this month. “Found” would become my top single of the year 2009, spending three weeks at #1 and 37 within the top 40. It’s off to the land of Country crossovers for this hit in the countdown. Young Miss Swift had previously peaked at #3 with “Teardrops On My Guitar” in early 2008; thus, “Story” marked a new peak for her, settling on three frames at #1. New music is coming from the gal later this year; can she capture her fourth #1 with a song from it? We’ll find out soon. It’s easy to hate on these guys, but no matter what poll you try to bring up, I still enjoy listening to their music. There, I said it. It was the leadoff single from the 3x Platinum album Dark Horse, and thus far, it’s the quartet’s last top ten single on the Hot 100 with a #10 peak. Their tour has come to an end, and perhaps they’ll be back in the studio to work on a new album. Meanwhile, their first greatest hits effort, The Best of Nickelback, Volume 1, was released last November. All the hits, to be Blunt. It was just a simple little song about love, but peaking just in time for all those spring weddings, Train‘s third single from Save Me, San Francisco provided just the right soundtrack for the big day. Already firmly on the comeback trail, “Marry” was their third top 40 hit in a row on the Hot 100, which never happened before. The band recently claimed a spot in my top ten of 2013 with “Mermaid”. This performer recently celebrated his 36th birthday earlier this week, and what better way to celebrate than to look back on his biggest single to reach my chart. After reaching the top 20 with “Last Train Home”, this song would rise to #2 for two weeks. At this point, it had already peaked and was descending. Star’s latest album, the independently released Angels + Animals, is due this Tuesday. If you forgot about this single from the band’s Hands All Over album, I think it’s safe to say you’re not the only one. It barely broke the CHR top 40 and the Hot AC top ten, and with a #86 peak on the Hot 100, it was certainly less rather than “more”. 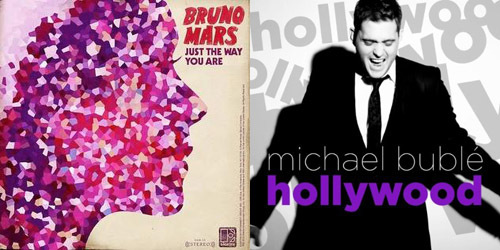 Though the era slowed to a crawl, it was revived by a collaboration with Christina Aguilera, “Moves Like Jagger”, and happy days are here again. Before this singer took over the world, saved music sales, and almost established world peace with the just the sound of her voice, she was just looking to grab a good peak in the U.K. with the leadoff single from her sophomore album, 21. Well, she did… and then some. It went to #2 there and to #1 in many countries. It topped my chart for six weeks and also took the #1 spot on my 2011 year-end list. Remember when this guy won the ninth season of American Idol back in 2010? Though he got a lot of support during the competition itself, his record sales faltered, his radio play was minimal, and he was soon without a label to call home. DeWyze now records on Vanguard Records; a single from his latest album, 2013’s Frames, simply titled “Fight”, is currently garnering some Hot AC airplay. Written about returning to the basics of life during the hard economic times, “Time” struck a nerve with many audiences, first in Europe in the summer of 2010 before making it to the U.S. in 2011. After two consecutive #1 singles on my survey, this managed to peak at #3, but they’ve since returned to the top spot on two other occasions. There is new music is coming from the trio later this year. In 2010, this Country trio based in Nashville was living the good life with their Need You Now era; not only was the title track their biggest crossover hit to date on the Hot 100, but their album was certified 4x Platinum. It was an amazing feat. Four singles from the effort ranked on my top 40, this being the fourth, which rose to #3. They are currently moving up the Country chart with “Compass”. He was Some Kind Of Trouble alright with this new-found breezy sound of his. “Night” was Blunt’s second #1 on my chart, holding for five weeks there. It’s his second biggest single behind ballad “You’re Beautiful”, which spent eight weeks at the top in 2005 and 2006. The British singer-songwriter is currently on my top 40 with “Heart To Heart”, the second release from his latest effort, Moon Landing. Bringing the party back to the pop charts, our favorite sassy singer was in the middle of promoting Greatest Hits… So Far!!! and enjoying the successes of it. This was the fifth of seven weeks at #2 for “Glass”, which ties it for second place for the most weeks in the runner-up spot only behind the eight-week #2 “Keep Your Head Up” by Andy Grammer. Her U.S. tour returns in February in Phoenix, AZ. It was an inspirational anthem, and just like its title, it shot up and away into the sky and lit up my survey for five weeks. This was the second frame at the top for this third single from Teenage Dream, a song that would eventually be certified 6x Platinum and earn the biggest single sales of that album’s releases. Perry made my chart a few months ago with “Roar”, which quickly peaked at #3, but further singles “Unconditionally” and “Dark Horse” failed to make the top 40. The shine from that Prism is wearing off quickly.